The St. Mary’s County Museum Division, which operates the St. Clement’s Island Museum and Piney Point Lighthouse Museum, will present month-long exhibits and family events during the holiday season at each historic site. The museums will come alive with special holiday exhibits sure to delight children and adults alike. St. Clement’s Island Museum will host its annual Christmas Doll & Train Exhibit, daily from Dec. 1, 2018, to Jan. 6, 2019, from noon to 4 pm. Families can enjoy an exhibit of unique antique and collectible dolls, trains, and toys at this festive holiday display. Years ago, people depended on books, letters, and newspapers for information and entertainment. This year’s doll and train collections will be accompanied by documents or books which highlight aspects of St. Mary’s County’s past. Recapture or share your youth by running the model trains. Complete your holiday shopping inside the museum store. Admission for this exhibit is $3 for adults, $2 for seniors and military, $1.50 for children. Kids 5 and younger are free. 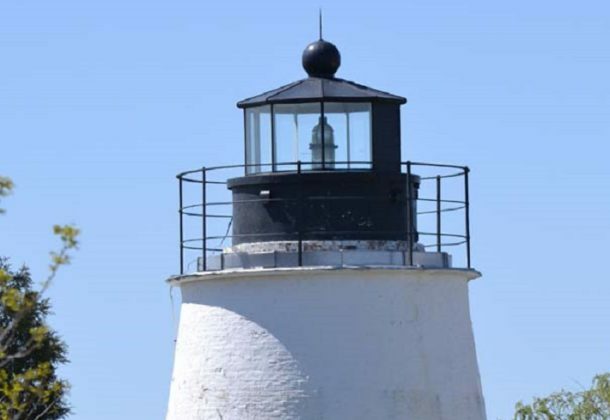 The Piney Point Lighthouse Museum presents the “Reading Lights the Way” Piney Point Lighthouse Holiday Exhibit, daily from Nov. 25, 2018, to Jan. 6, 2019. Hours will be noon to 4 pm. Visitors will experience a holiday display inside the museum and lighthouse keeper’s quarters. This year’s theme is “Reading Lights the Way,” where visitors can view Lighthouse Digest cover exhibit, Flying Santa exhibit, a number of exhibits on children’s holiday stories, lighthouse library boxes, and more. Admission is $7 for adults, $3.50 for seniors, students and military. Children 5 and younger are free. To kick off the holiday season at each site, the museums will hold special holiday open houses which will include lots of family fun. At the St. Clement’s Island Museum Holiday Open House, scheduled for Sunday, Dec. 2, from noon to 4 pm visitors can enjoy free admission, children’s activities, refreshments, games, and face painting. Santa and Mrs. Claus will be at the museum from noon to 2 pm. Dr. Thomas Gerard, the first owner of St. Clement’s Island, will talk about his property. The COSMIC Flute Orchestra will perform from 2:30 to 3:30 pm. Get a jump on your holiday shopping inside the museum store. At the Piney Point Lighthouse Museum Holiday Open House, slated for Sunday, Nov. 25, from noon to 4 pm visitors can enjoy children’s activities and crafts, see Buddy the Elf read children’s holiday stories, enjoy refreshments, and enter to win and boys and girls bikes in our raffle. It is also Museum Store Sunday, so get a jump on your holiday shopping inside the museum store with 25 percent off all books in the gift shop. For more information regarding the St. Mary’s County Museum Division, hours of operation, programs, admission prices, and more, visit the St. Mary’s County Museum Division’s Facebook page or here.